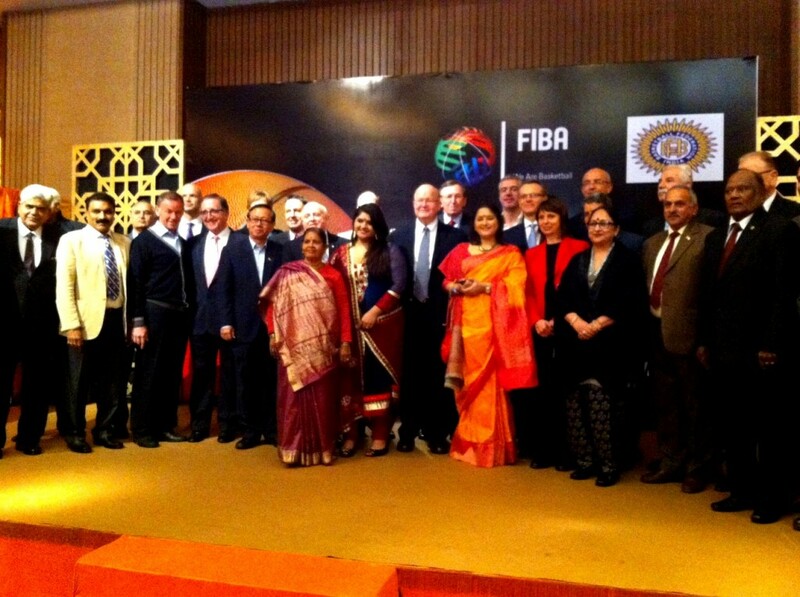 Editor’s note: This group photo of the FIBA Technical Committee has been inserted into the press release subsequently. Press Release/New Delhi, 20th Jan 2014: Top officials from FIBA will be converging in India for the FIBA Technical Commission Meeting being hosted for the first ever time by the Basketball Federation of India at the Lalit Hotel in New Delhi from 21st to 22nd January 2014. Mr. Fred Horgan, Chairman Technical Commission FIBA and Mr. Lubomir Kotleba, Sports Director FIBA will be attending this meeting along with other dignitaries from FIBA to discuss and deliberate on various issues pertaining to the governance of FIBA referees and commissioners, FIBA internal regulations, licensing of FIBA referees and commissioners as of 2016, psychological testing of referees, new FIBA teaching methods and materials and a code of ethics for basketball. Owing to its strategic, long-term, exclusive partnership with IMG Reliance forged in 2010, BFI has successfully been able to conduct various clinics for coaches and referees across India. Indian coaches and referees have been trained by expert officials from FIBA as well as by the Head Coaches of the Indian National Men’s and Women’s team Mr. Scott Flemming and Mr. Francisco Garcia, respectively. IMG Reliance’s partnership with the BFI was also instrumental in establishing a strength & conditioning coaching program for all Indian National Basketball Teams through Coach Zak Penwell, including the establishment of a world-class training facility in Delhi, and the development of a training book, “Strength & Conditioning: The Complete BFI Program for Training Basketball Players to Run Faster, Jump Higher and Perform Better”, which consists of a scientifically-based programme specifically tailored to basketball players and India. Such has been the growth of Basketball in India from grass root levels in recent years that FIBA has restored its faith in India and Basketball Federation of India.